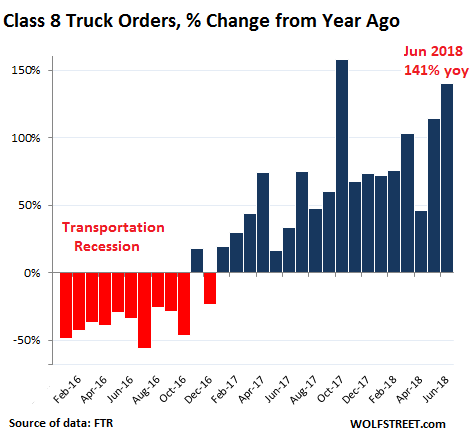 Orders for heavy trucks that haul trailers loaded with anything from junk food to oil-field equipment across the US skyrocketed 141% in June compared to a year ago, to 41,800 orders, making it the highest June ever recorded, according to transportation data provider FTR. 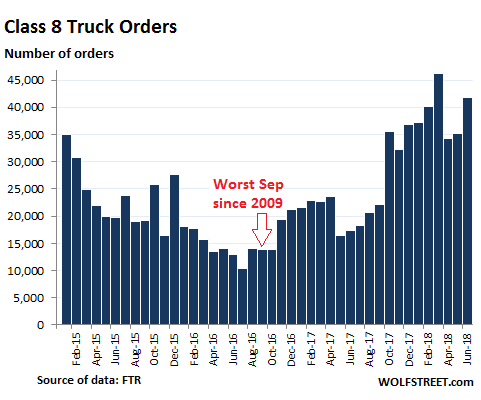 For the first six months this year, order volume of Class 8 trucks surged nearly 90% from a year ago to a phenomenal 235,050 units. 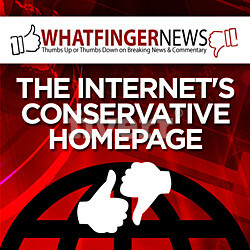 The boom in shipments that trucking companies are trying to respond to has been enormous. Soaring freight rates, higher diesel prices, and blistering shipping volume pushed transportation spending by shippers up by 17.3% in May from a year ago, the 8th double-digit year-over-year increase in a row (Cass Freight Index). The Cass Truckload Linehaul Index, which tracks per-mile full-truckload pricing but does not include fuel or fuel surcharges, jumped 9.0% in May, the largest year-over-year increase in the data going back to 2005. 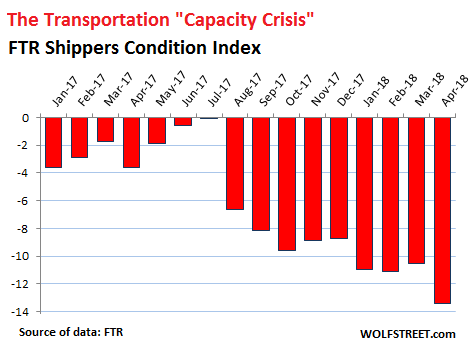 And these – the winners during the Transportation Recession when their costs plunged – are the losers in the transportation boom: desperate shippers that are facing soaring shipping costs and long delays. But in this cyclical business with all kinds of ebbs and flows, the transportation “capacity crisis” will work itself out over time.